Traveling the world with a bike in tow is a challenge. But for cycling enthusiasts who need their wheels on site for a trip, most major airlines have policies in place to make it happen. To be sure, there are often big extra fees to pay. In recent years, I have flown to international and domestic destinations with a bike, paying as much as $300 once to get my boxed-up mountain bike ferried on a multi-leg Delta itinerary from Minnesota to southern Chile. 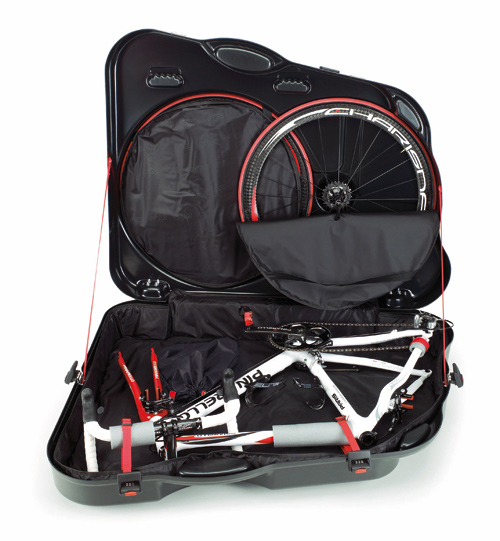 Last month, heading back to South America, I tested out a high-end bike case from SCI’CON, an Italian manufacturer that touts its AeroTech Evolution as “simply the best bike hard case on the market.” At about $1,400, the AeroTech is likely the priciest, too. The made-in-Italy case is imported to the United States through Albabici, a company that has a niche of selling Italian cycling products. 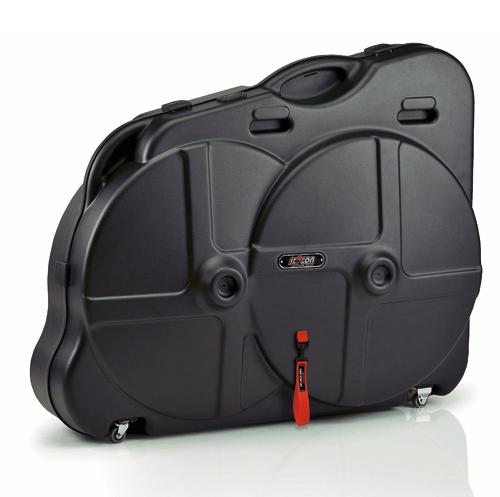 Several pro-level cycling teams use the AeroTech case, according to the company. For average riders serious about protecting their bikes, the AeroTech might be worth the investment. 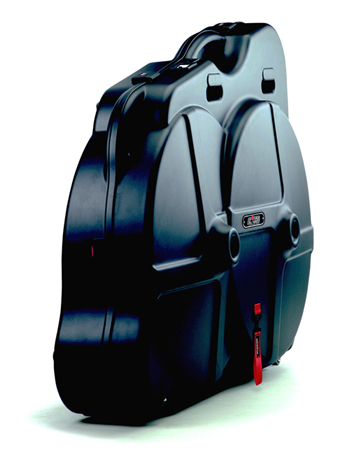 The case measures about 45 × 35 × 11 inches. This is an average size for a bike box, though it’s still on the verge of being too large for some airlines. In fact, for one of my carriers this year in route to South America, LAN Airlines, the case was officially too big as per baggage information on the website. At check in, the airline attendant let the infraction slide, not glancing twice or taking out a measuring tape.